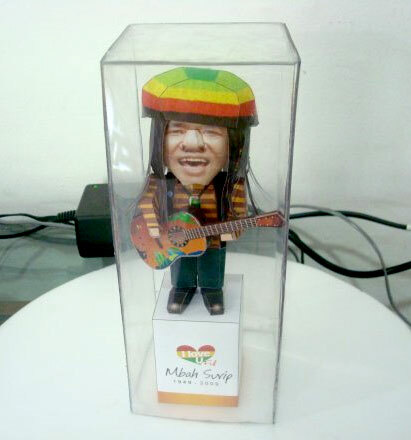 Another papercraft tribute for Mbah Surip, this one is my own design. Mbah Surip (born Urip Achmad Ariyanto, 5 May 1949 - 4 August 2009) was an Indonesian singer who became famous in 2009 for his single "Tak Gendong". 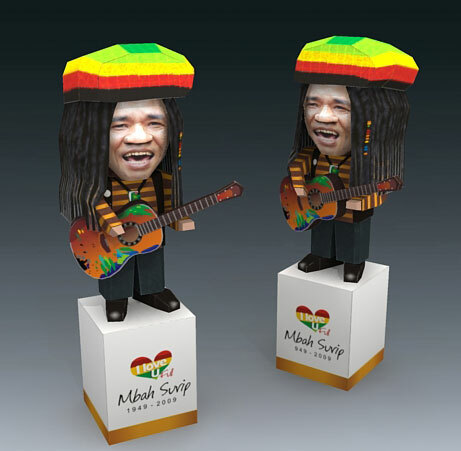 At first, Mbah surip lived in poverty and was just a street performer, recently he became famous and recently passed away due to heart failure.